Hello, and welcome to Patch Notes, where we preview additions and changes to the world of video games. 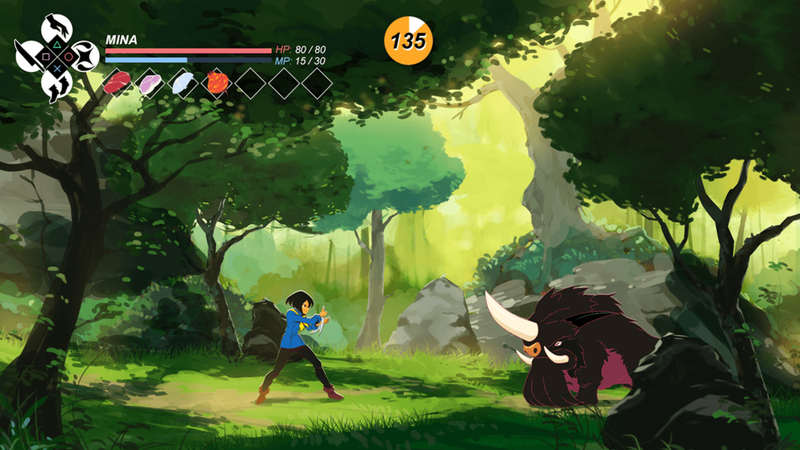 Perfect World shuts down a number of studios, including Gigantic-developer Motiga. Sad news for Gigantic fans, but Motiga and several other studios have been shuttered by Chinese publisher Perfect World. A few core members of the studio remain, but the majority have been laid off. Gigantic is still set to deliver its large November update in full, but there is no information beyond that. Most of these cuts were purely corporate: Perfect World was in the process of cutting branches that weren’t profitable enough, and unfortunately companies like Motiga and Torchlight developers Runic Games were included (their most recent release being Hob, which we’ve reviewed). We hope for the best for all those involved, but it’s always a shame. Starcraft II has gone completely free to play! Yeah, it’s not a joke. Starcraft II originally released back in 2010 as a “Chapter 1 of 3” sort of installment. Over the course of three main titles – Wings of Liberty, Heart of the Swarm, and Legacy of the Void – the competitive sci-fi RTS drew a pretty solid crowd and released a solid game… that could absolutely never triumph over the legacy of the original Starcraft. I mean, I’m not sure how you can top a game that effectively birthed eSports in South Korea. Still, with Starcraft II going free to play, the game might just open a potential floodgate of new players and renewed interest. Blizzard certainly isn’t hurting for money, and this combined with their multimedia handling of Overwatch and Hearthstone make them one of the strongest trendsetters in the business. Starcraft II can be downloaded through the Blizzard App. EA makes a continuous string of blunders. Last time, we mentioned EA’s decision to shut down its internal studio, Visceral Games, which earned them a tremendous dose of flak, and we were pretty sure stirrings at the video game giant would calm down in response. We were wrong. It’s been a string of poorly timed announcements over the last couple weeks. Right after closing Visceral Games, EA acquired Respawn, the developers of Titanfall, which has its fanbase already worried about the game’s future. On top of that, EA managed to produce the most downvoted response ever recorded on Reddit in just a day’s time, but it’s not that surprising since it was basically a civil defense of the company’s loathed microtransaction content locks for the recently released Star Wars Battlefront II. We mentioned last time that EA is far too effective at displaying the worst aspects of their company’s values, but the continuous barrage of corporate greed with no empathy for its player base is getting pretty hard to ignore. EA, do you need a time out? World of Warcraft Classic set to release in the future. Blizzard announced a server for “WoW Classic”, which will supposedly replicate the game in its initial release state. Players have apparently been asking for this for a long time, but it has us wondering just how long this is intended to create interest. WoW has been in a pretty sharp decline for the last few years, and while having a Classic server is nice, it likely won’t be drawing in a brand new (or stable) crowd. Time will tell, we suppose. Adult Swim Games decided to put together dungeon crawl, material collection, cooking, ring-switch puzzles, and a heavy anime influence to create Battle Chef Brigade, a game where you play a combat chef that travels the land, fights powerful monsters and tries to cook the best meals out of them. I really don’t know what to make of this, but at the very least it doesn’t sound boring, and I guess young adults are really into stories about fantasy and cooking right now, so its release has turned into a mini hype machine. Here’s hoping the game is at least as fun as it sounds. Supermassive Games dips into VR with a prequel to their recent horror game, Until Dawn. You control an amnesiac in a sanitorium, on a quest to discover who you are and why you are here. The game is driven by branching narrative, a storytelling mechanic that seems to be increasing in popularity over time, and the intent of VR here is both to improve immersion as well as absolutely terrify the player. We’re pretty sure it will succeed on at least one of those fronts. No, it’s not related to the Netflix series. It is, however, a hard reboot of the 2003 gothic horror adventure series of the same name. The story is presented as a mystery, in which you play the son of a man who recently committed suicide and whose mansion you’ve just inherited. You set out to investigate the circumstances of his untimely death and find that the mansion holds dark and sinister secrets, but more on the psychological side than anything especially monstrous. It’s certainly not a typical game, but it does seem to draw influence from other Lovecraftian-inspired adventure games that have taken root as of late. As we approach Autumn’s end, we’d like to wish everyone company on Thanksgiving, safety on Black Friday, and hopefully some level of restraint during the upcoming Steam Sale. Until next time.